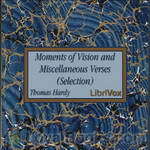 Thomas Hardy - Download Audiobooks & eBooks for iPhone, Android, Kindle and more! The book describes the love triangle between a young woman, Elfride Swancourt, and her two suitors from very different backgrounds. Stephen Smith is a socially inferior but ambitious young man who adores her and with whom she shares a country background. Henry Knight is the respectable, established, older man who represents London society. Our heroine, Anne Garland, lives quietly in a rural community deep in the English countryside. However, the arrival of several regiments preparing for an expected invasion brings colour and chaos to the county. A graceful and charming young woman, Anne is pursued by three suitors: John Loveday, the trumpet-major in a British regiment, honest and loyal; his brother Robert, a merchant seaman and womaniser, and Festus Derriman, the cowardly son of the local squire. 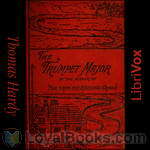 Set at the time of the Napoleonic wars, this is the author’s only historical novel, and unusually for Hardy’s stories, most of the characters live happily ever after. 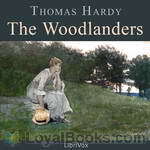 The Woodlanders is one of Hardy's later novels, although he originally intended it as a successor to Far From The Madding Crowd. 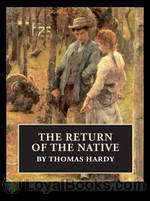 It concerns the life and loves of Giles Winterborne,Grace Melbury,Edred Fitzpiers, Felice Charmond and Marty South.The topics of class,fidelity and loyalty are delt with in Hardys exquisite style and set in the beautiful woodlands of Hintock. 'The Well-Beloved' tells the story of Jocelyn Pierston and his love for three generations of women - the grandmother, her daughter and grand-daughter over a period of forty years. Pierston is seeking for perfection in his choice of lover and in doing so lets opportunities for happiness pass him by. However, at the end of his life, he finds some kind of contentment in compromise. Eighteen short stories by a master story teller. The pedigrees of our county families, arranged in diagrams on the pages of county histories, mostly appear at first sight to be as barren of any touch of nature as a table of logarithms. But given a clue—the faintest tradition of what went on behind the scenes, and this dryness as of dust may be transformed into a palpitating drama. Out of such pedigrees and supplementary material most of the following stories have arisen and taken shape. 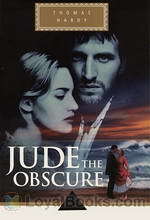 A milkmaid, Margery, encounters a mysterious foreigner and perhaps prevents him from committing suicide. In gratitude, the man offers her any reward she can name. She tells him she wants to go to a ball. He takes her, admittedly a bit reluctantly, to a yeoman's ball in a neighboring county. From there the story continues because of course, a lot happens after the ball. She happens to already have an engagement to a local lad but his hold over her seems to grow of its own accord. 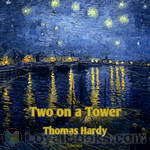 This Hardy story may not end the way you wish, but that is often true of stories by this master writer. In a fit of drunkenness, Michael Henchard sells his wife and baby daughter to the highest bidder at a country fair. 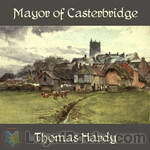 He lives with regret and swears off drink, until his wife and daughter return eighteen years later, when he is now well-off and the Mayor of Casterbridge. Tess of the d'Urbervilles subtitled, "A Pure Woman," is the story of a young working woman named Tess Durbeyfield who is sent by her father to visit wealthy relatives. Her encounter with Alec d'Urberville changes her life forever, and brings about a doom that no one could have foreseen.